الخيار الأفضل للحصول على المتعة والاسترخاء، لو مريديان بورا بورا يقع في منطقة رائجة من أفضل مناطق المدينة. إن موقع الفندق الاستراتيجي، الذي يبعد فقط عن مركز المدينة، يسمح للنزلاء بالوصول سريعاً وبسهولة إلى العديد من الوجهات المحلية المثيرة. إن سهولة الوصول من الفندق إلى المعالم السياحية الشهيرة الكثيرة في المدينة هو استثنائي بحد ذاته. يعرف Starwood Hotels & Resorts Worldwide بالمستوى الراقي لخدماته ولباقة موظفيه، وهذا ما ستجده في لو مريديان بورا بورا. إن واي فاي مجاني في جميع الغرف, أمن على مدار 24 ساعة, معبد, خدمة التنظيف يوميًا, متجر هدايا/تذكارات هي جزء فقط من الخدمات التي تميز لو مريديان بورا بورا عن باقي الفنادق في المدينة. بالإضافة لهذا، تتضمن كل غرف الضيوف مجموعة واسعة من وسائل الراحة . بعض الغرف توفر حتى تلفزيون بشاشة مسطحة, حمام إضافي, مرحاض إضافي, قهوة فورية مجانية, شاي مجاني لإرضاء أكثر الضيوف تطلبًا. يقدم الفندق العديد من الفرص للاستجمام كمثل كنو, تأجير معدات الرياضات المائية, الركمجة الشراعية, الغوص السطحي, حوض استحمام ساخن. إن لو مريديان بورا بورا هو خيارك لخدمة الفنادق الراقية في المدينة. للوصول إلى العقار يجب ترتيب رحلة مواصلات القارب الإلزامية. يرجى الإتصال بالعقار للمزيد من المعلومات. I'd stay here again in a heartbeat. You can't go wrong. Book it! Magical. Staff was extremely friendly and helpful. Bar service was slow but the cocktails were exceptional. The stay was wonderful right from the beginning when we were greeted by our guest relations officer Greg Yeo. The resort has a turtle sanctuary which is educational. Room service was good! This hotel is one of the best Bora Bora island view. Food and beverage is good. This is the hotel you must see! We travelled first to Tahiti then to Moorea but still missed our dream shores, white sand beaches and the blue lagoons. Finally we arrived to this amazing resort and all dreams came true. We stayed in an over water bungallow which is hard to describe how beautiful is. Glass floor, perfect bed, perfect everything. This is the place that meant us the "dream lagoon". I have never ever seen such a beautiful place however travelled the Earth around and visited many countries. It was all I hoped for. Simply stunning. Check in staff excellent and gave good information on arrival. Interior of rooms well decorated, could be maintained a little better. Meals at the main restaurant where excellent. The breakfasts were very expensive and it would be great if the resorted offer a cheaper breakfast option if you did not want to eat a large breakfast. Sporting facilities excellent and the staff very entertaining and helpful. Shore excursions good but feel the shuttle boat/taxi is very expensive to visit the main island if you wanted to just do shopping. 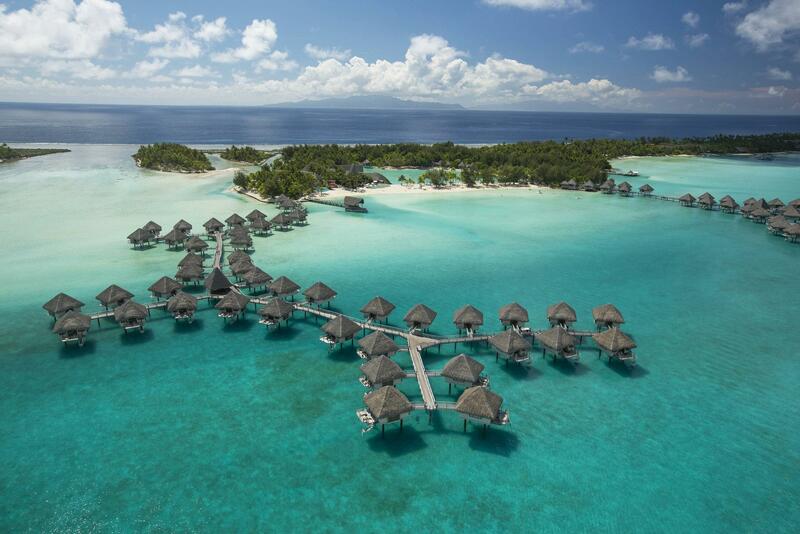 We enjoyed our stay greatly at Le Meridien Bora Bora, and left feeling very relaxed. Very relaxing, with none of the thrills that St. Regis or Four Seasons adds. Great hotel for the price. The staff was great and everyone was very kind and helpful. Although out welcome was very swift and pretty direct to the room. Over our stay I saw others getting more of a detailed tour of the place. So I felt a little disappointed and lost as to what the whole resort had to offer. Overall, great place to be! מיקום טוב, צוות עובדים אדיב ונחמד ומתקנים ברמה גבוהה. המלון היה ממש טוב, במיקום טוב! הצריך רק שייט של כ-20 דק' לעומת מלונות אחרים שמצריכים גם טיסה נוספת. צוות העובדים היה אדיב ונחמד והמתקנים במלון היו ברמה גבוהה. מאוד מומלץ! Hotel lindo,mais poderia ter melhor serviço de quarto,digo por que não tem bebidas na geladeira não havia barbeador no banheiro nem touca plástica nem si quer escova de dente oi ? ?o que será que aconteceu? ?uma outra coisa que agora posso dizer também é que o bangalô de água mais barato não tem chão de vidro nem escada para descer na água.Agora os staffs são ótimos !! !comida também maravilhosa!! !